Progressive Yacht Refinishing, Inc. is deeply appreciative of the opportunity to offer information on our company’s qualifications and professional experience. We are a dynamic company providing superior workmanship to some of the most prestigious vessels ever made. You can rely on us to get the job done right. 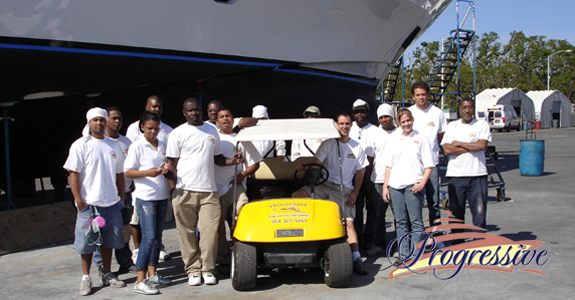 Our vision is being the company that people contact for all their yacht services. Our mission is to provide superior, quality work at a reasonable cost and to make our customers’ experiences memorable and favorable. 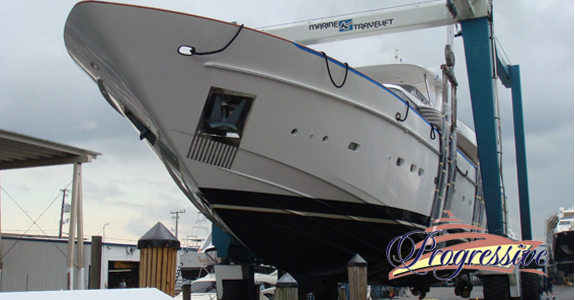 For over 23 years, Progressive Yacht Refinishing Inc. has provided outstanding customer service to all of our clients. We are licensed and insured (Certificate available upon request). Our trained professionals always go the extra mile. No request is too small or too large to be considered. Our team will provide the right mix of business strategies along with technical and creative skills to provide superior workmanship. We are the only known company that provides customers with three coats of AWL Grip Polyurethane Finishing Top Coat at no additional cost. We work with most marinas. We are able to cover jobs locally, throughout the continental United States, and internationally. We are insured by Liability Insurance, Longshoreman’s and State Act.